The efficiency and effectiveness of crime recording by Forth Valley police was put under the spotlight by watchdogs. 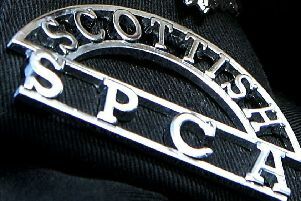 The audit of Police Scotland’s performance was carried out by HM Inspectorate of Constabulary in Scotland. It shows the local force which covers Falkirk, Stirling and Clackmannanshire did better than the national average when it came to closing incidents and counting and classifying crime correctly, achieving figures of 94 per cent and 96 per cent respectively. Forth Valley Division also properly recorded 98 per cent of crimes within the required 72 hours of the incident being reported and later correctly re-designated cases as not being a crime following additional investigation in 92 out of 100 cases. It is claimed the results of the largest audit ever tackled show the reform of Scottish policing has provided new opportunities for greater consistency. Derek Penman, HM Inspector of Constabulary in Scotland, said: “It is important the public can have confidence in crime figures. The scale of this report, which examined five times more records than any previous report, provides that.